What can be better than staying in a luxury resort on the tropical island? Phuket is the most famous place in Thailand. Every year, hundreds of thousands of people visit this island. It’s quite obvious why- Phuket is like a paradise. Beautiful beaches, awesome weather, amazing sea, delicious Thai food and the most important… the most luxurious accommodation in Thailand! 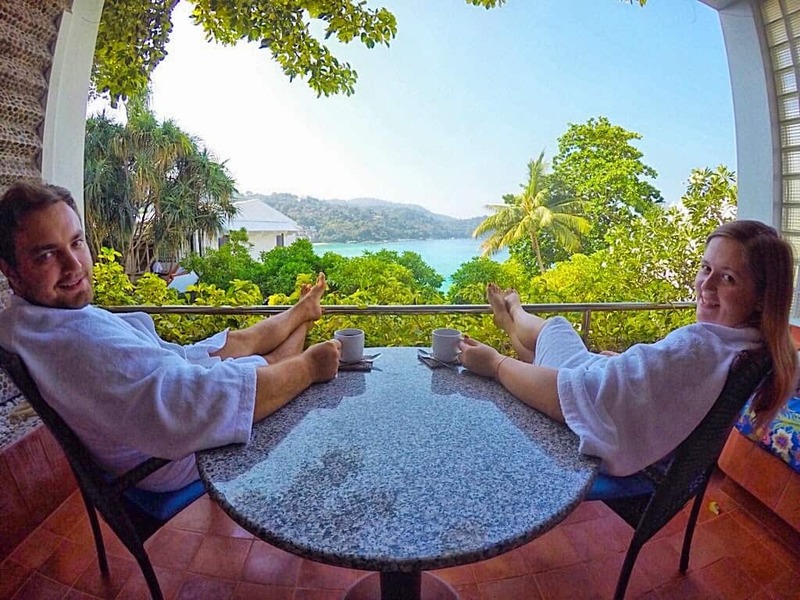 What is the best hotel Phuket? 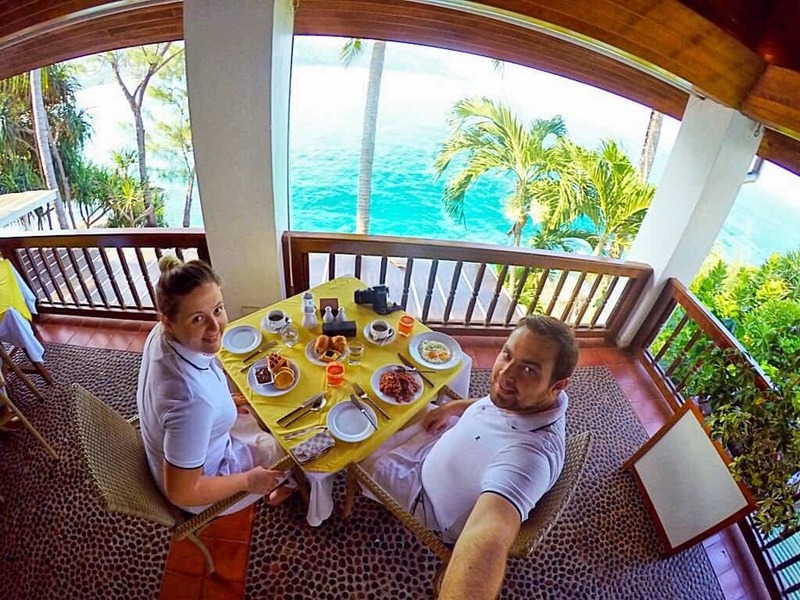 It wasn’t easy to create a list of the most awesome and luxurious places to stay on the island. 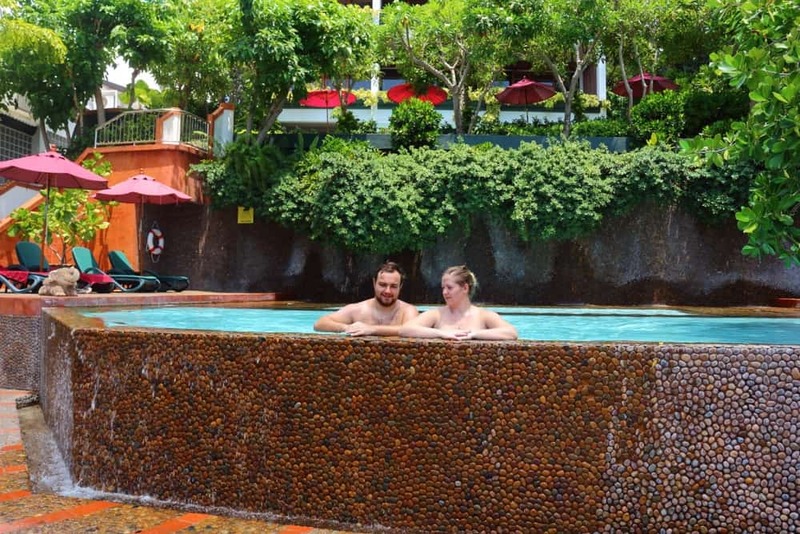 We spent many days on visiting luxury hotels in Phuket and finally we chose the best of them! 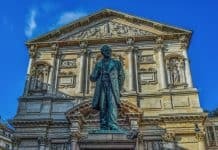 The hotels in this post are reviewed in a random order. We couldn’t choose which of them was the best. 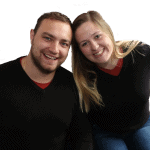 We believe all of the ARE the best in its own way. They have different facilities, locations and design, so the best hotel Phuket for family traveling with children will be different than the best hotel Phuket for young group of friend who want to have fun. One thing we know for sure- all these hotels are amazing and luxurious. We’ve been there and experience a stay in each of them. All these photos are taken by us and all the words are written by us. 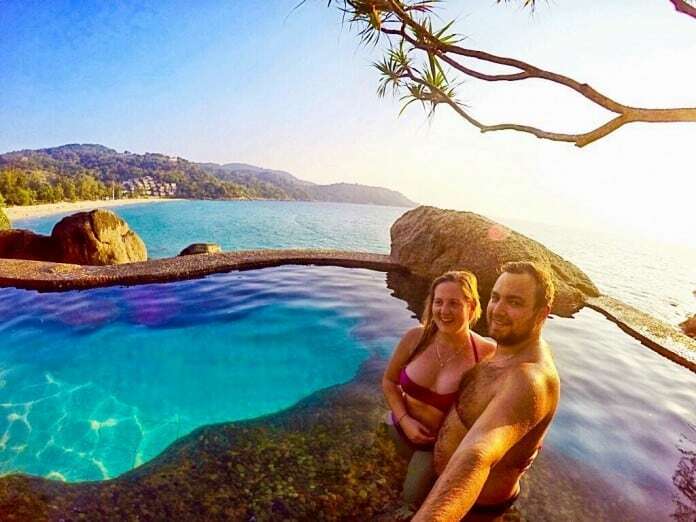 This is the best review of hotels in Phuket that you can find in the Internet. What a hotel! We have no words to describe how awesome was our stay there. The hotel was built by famous Thai architecture, Mom Tri (Mom Luang Tridhosyuth Devakul) who is a descendant of Thai king Mongkut Rama IV. Mom Tri gave his guests truly royal experience. The hotel was first used as a private residence of Mom Tri and it was open to public few years ago. It was visited by many famous people from all over the world. 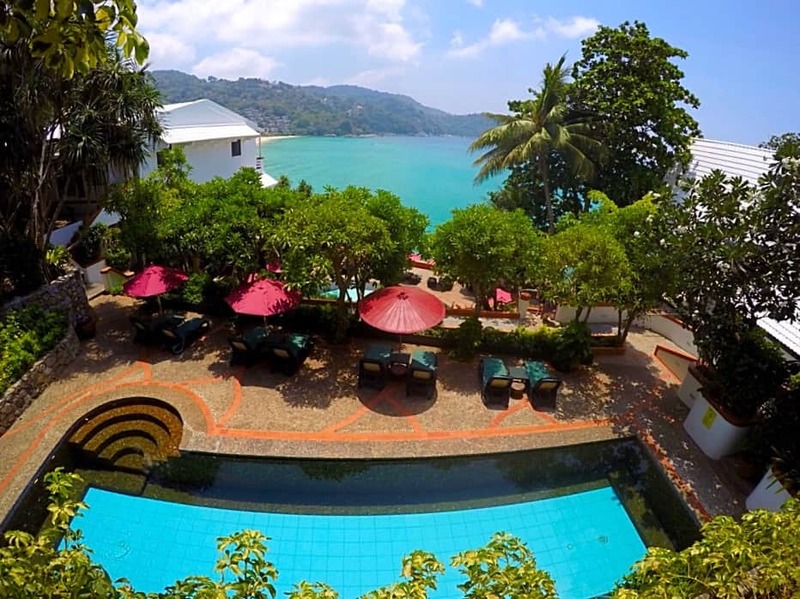 This luxury hotel is situated in one of the best location in Phuket- Kata. It has a private beach, world’s famous restaurant and even a private library! There is a spa at Mom Tri’s Villa where you can choose from a variety of treatments. Our favourite is of course Thai massage :). 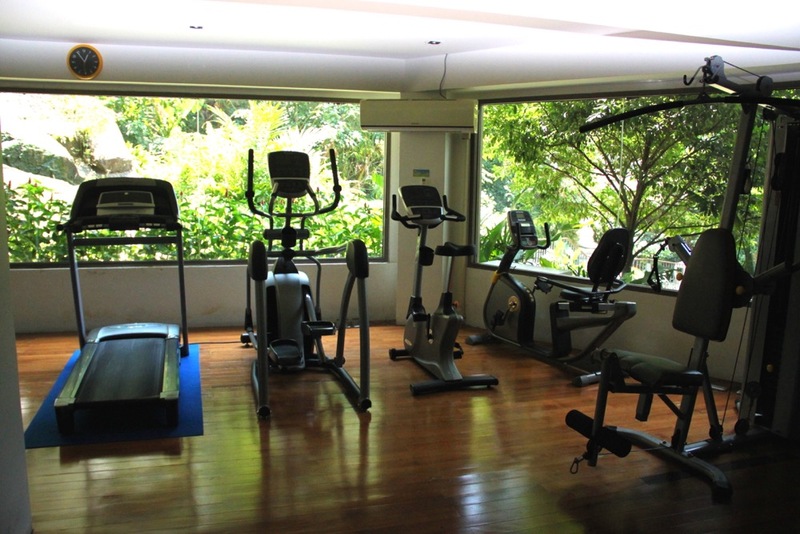 If you want to stay fit on your vacations, you can use a gym at Mom Tri’s Villa. 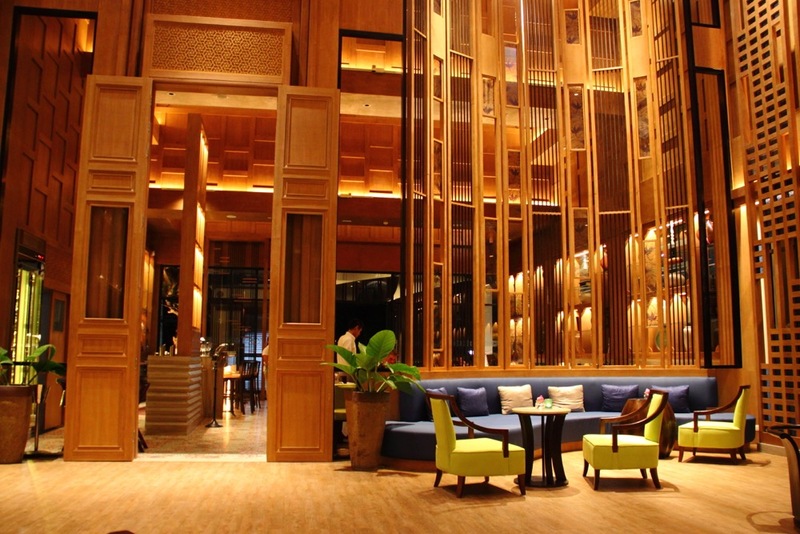 It’s different than most of the gyms in a luxury hotels- it’s designed in a Thai architecture style. To be honest, it’s one of the best gyms we’ve ever seen. The best thing about Mom Tri’s Villa Royale is that it is a boutique hotel. You won’t see crowds there. Sometimes you may even feel like you were the only guest in a hotel and everybody is doing everything to make your stay even more comfortable. 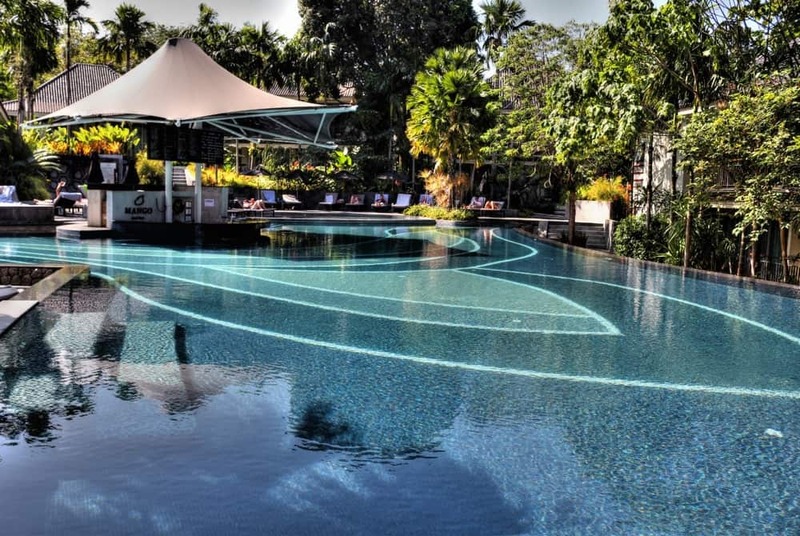 There are 3 pools at Mom Tri’s Villa Royale best hotel Phuket. Free towels and snorkelling equipment are available for hotel guests at Pool Bar. This is our favourite one. 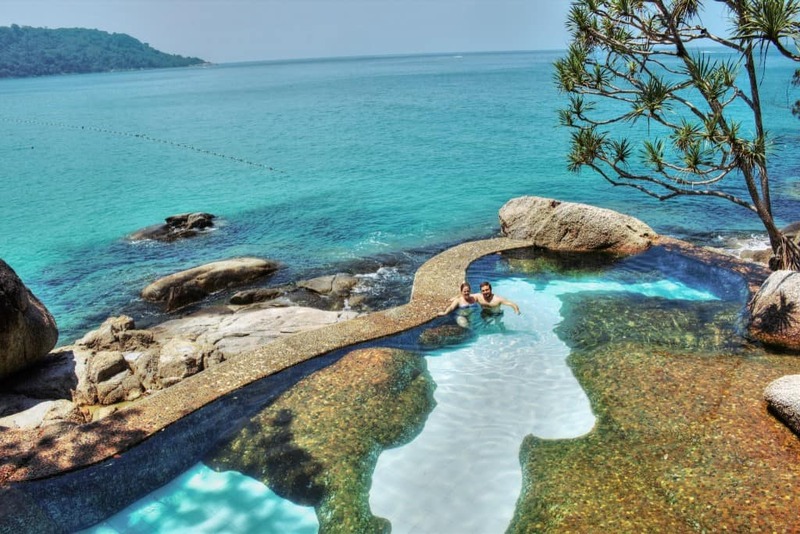 Seawater pool is beautifully designed and has an amazing view on the sea. It’s also a great photography spot, the pictures taken there are just insane! This is the best pool for swimming or play any other water sports. It’s quite small but has a regular shape and sun beds around. This the most popular swimming pool at Mom Tri’s Villa Royale. Probably because it’s situated right next to the Pool Bar ;). All rooms at Mom Tri’s Villa Royale are very spacious. They all have enormous beds. Seriously, these are the biggest beds we have ever seen. They are like double king-size beds. You can’t imagine how awesome is to sleep in a bed like this. You have to go and try it yourself ;). In contrary to other rooms, the penthouse is designed in modern style. It is spacious (70m2), it has a large balcony, an amazing sea view and a huge bathroom with both shower and bath. 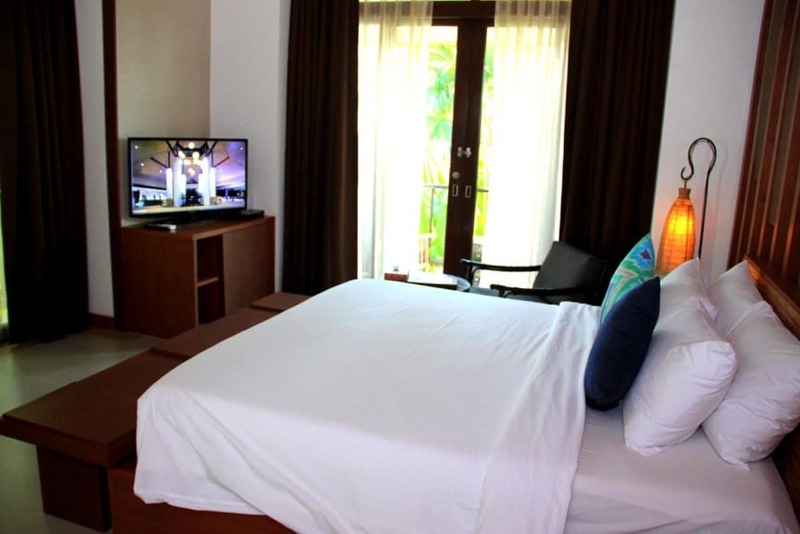 Spacious (65m2) room designed in a modern Thai style with a beautiful sea view and a huge bathroom. This is the room we were staying at. It spacious (64,5m2) and designed in a lovely Thai style. The room had a big balcony with a sea view and a bathroom with both bath and a shower. Ocean Wing is situated 50 metres from the main hotel and it offers 3 different rooms, all with a sea view. 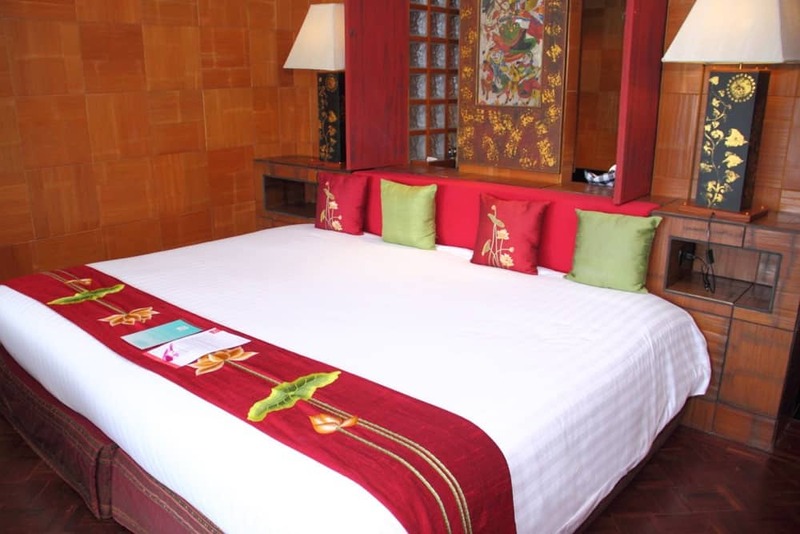 The rooms are spacious (61-115m2) and designed in a Thai style. The room has a direct access to the 3rd floor swimming pool. It’s spacious (57m2) and designed in a Thai style. Classic wing consist of 5 suites that was once was Mom Tri’s private home. Some suites has a sea view. All of them are spacious (100-151m2) and beautifully designed in a traditional Thai style. This is the biggest and the most luxurious room at Mom Tri’s Villa Royale best hotel Phuket. 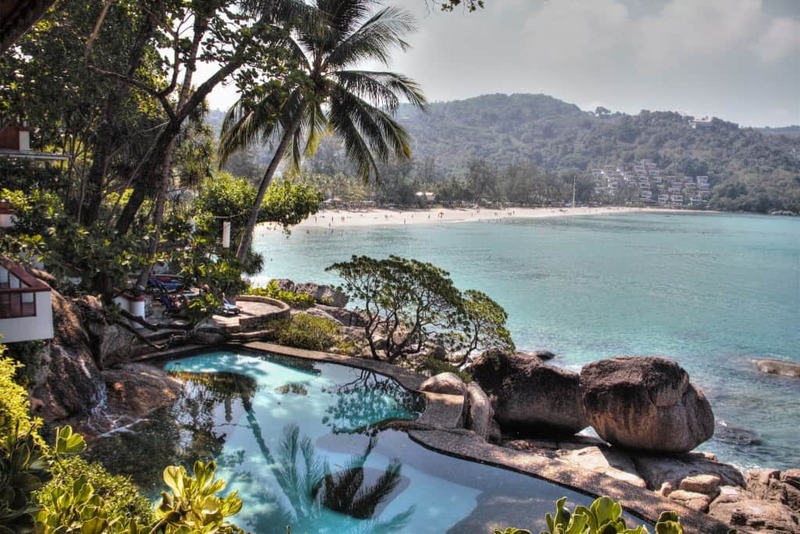 It is enormous (more than 200m2), it has a private pool with a sea view and it’s designed in a traditional Thai style. Mom Tri’s Kitchen is world famous restaurant, one of the best not only in Phuket but also in Thailand. In the evening it serves food from Thai and western cuisine. The restaurant is famous for its huge selection of wines. It has more than 750 labels in a cellar. Mom Tri’s Kitchen is a sea view restaurant. In the morning it serves breakfast for hotel guests. There is so much to choose from! Everybody will find something for themselves. You even can ask for a fresh squeezed juice which is awesome :). Check out the latest prices for Mom Tri Villa—> click here. 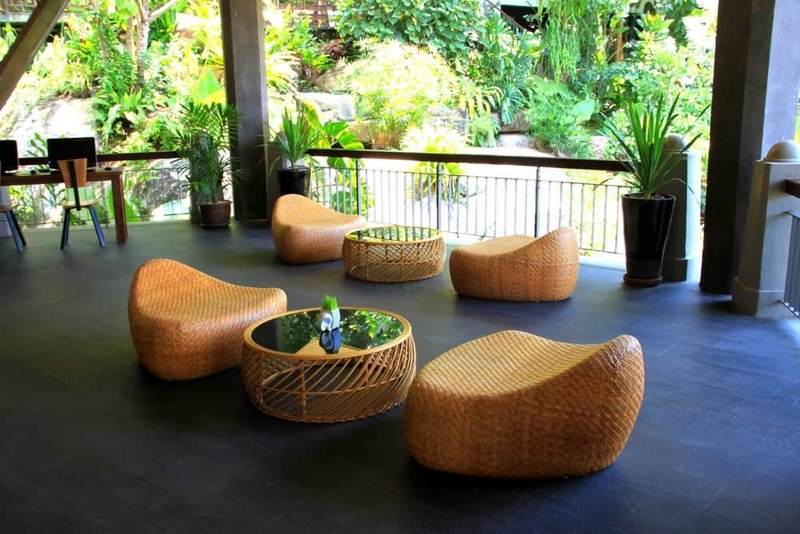 Manathai Surin Phuket is a great place for people searching for relax. The hotel has its own spa and two beautiful swimming pools. It is situated very close to the Surin Beach, which is one of the best we have ever seen in Thailand. This resort is very peaceful and relaxing. 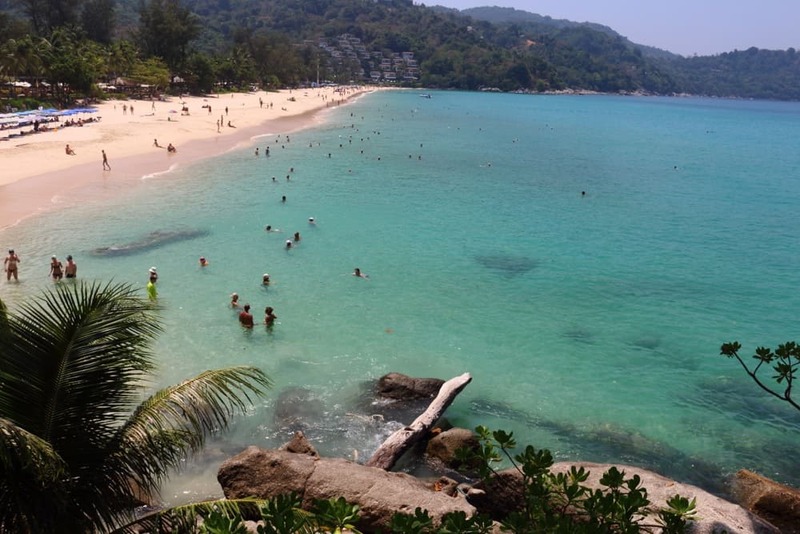 Surin is not the most touristic place in Phuket and in our opinion it’s great. You won’t hear loud music at night or see drunk people coming back from the club. Manathai is great for families and couples of all ages. There are two swimming pools in the hotel. They are not big but one huge advantage of them is that they are situated in two different places! How awesome is that? Usually hotels have all the swimming pools next to each other. These places are crowded and full of people. At Manathai hotel it’s different- you can always find free sun beds to lie down. There are many great amenities at the pools, including pool mattresses, water armchairs or even balls to play. Big towels are available for hotel guests who are using the pool. Both swimming pools are very clean, well-maintained and new. 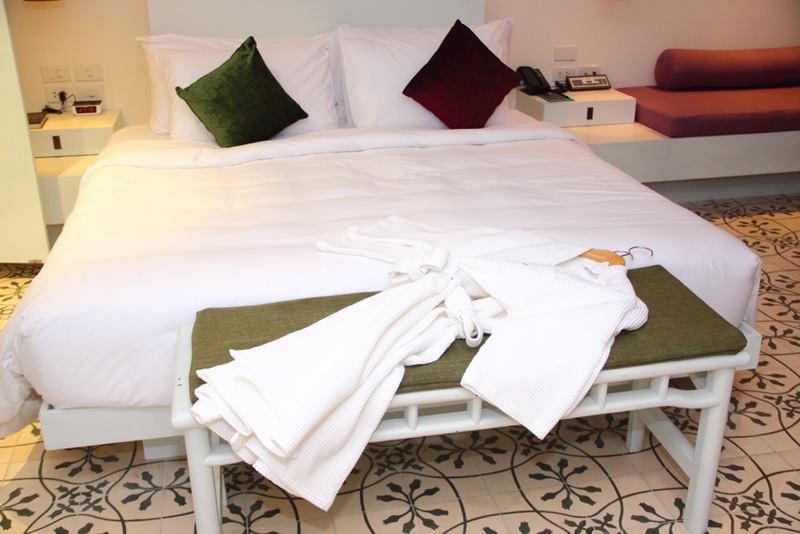 All rooms in the Manathai Surin Phuket have AC, free WiFi, room safe, TV, minibar, cosmetics, hairdryer, tea and coffee-making facilities, bathrobes and telephone. Luxury and spacious (26m2) room for two with an amazing, huge and extremely comfortable king-size bed. 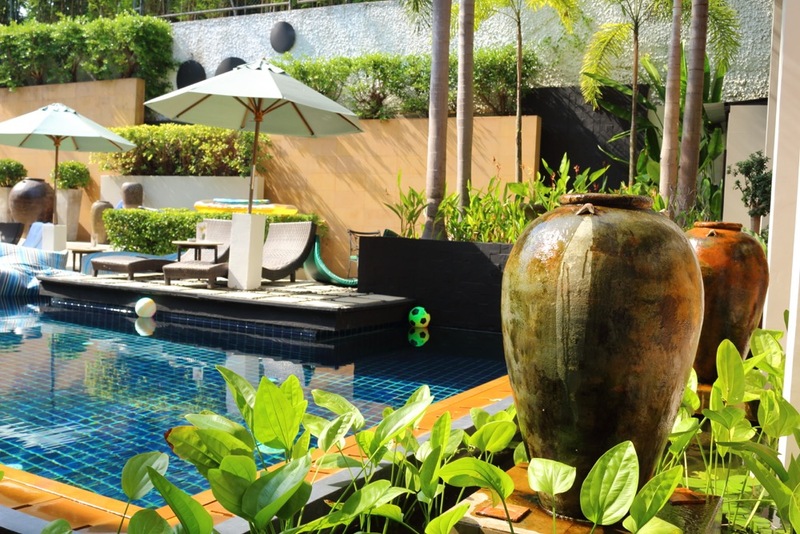 Manathai in Phuket is the only hotel we know that offers direct access to the pool from the room. You can get to pool directly from your room terrace. It’s really awesome! 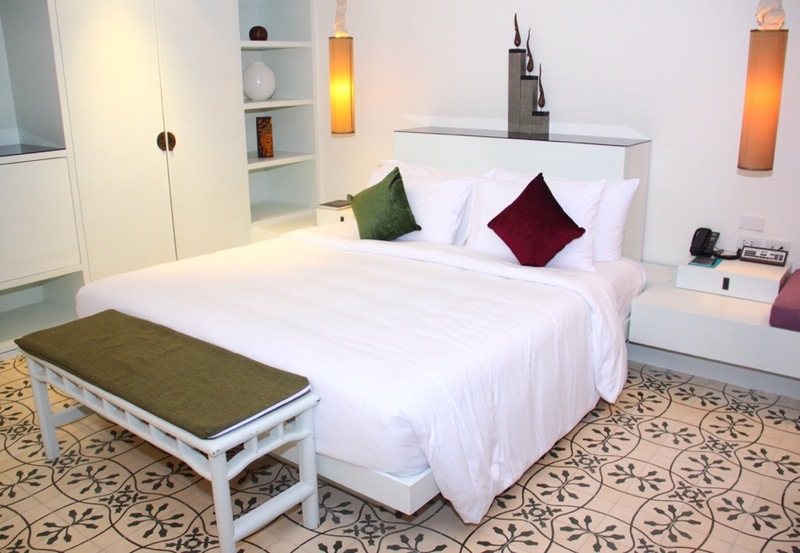 Surin room is very spacious (40m2) and comfortable. It has a lovely balcony with two seats and huge bathroom. The shower is the biggest we have ever seen. King-size bed is above expectations, it is great to sleep in. Pure luxury. Spacious room (40m2) with a private pool and sun beds. There’s nothing more you could expect from the luxury accomodation. The biggest room (70m2) in the Manathai hotel. It has two floors, private terrace and comfortable king-size bed. Restaurant with a lovely name ‘Pad Thai’ serves traditional Thai dishes. It is open every day from 11 am until 11 pm. In the morning they serve delicious, buffet and a la carte breakfast for hotel guests. 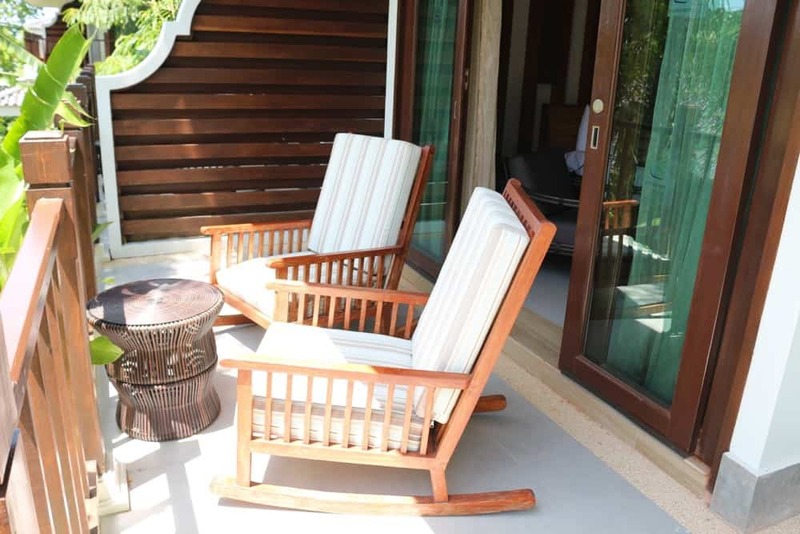 Check out the latest prices for Manathai Surin Phuket—> click here. 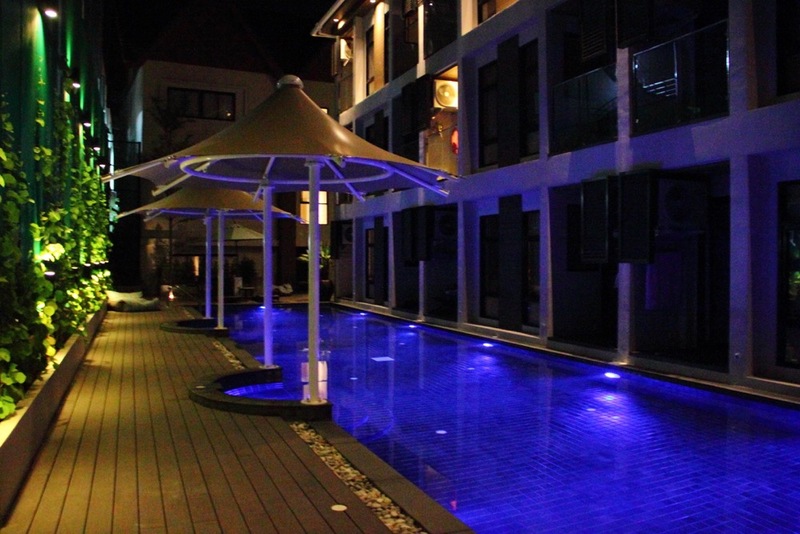 The hotel is situated in the most peaceful area in Phuket. It’s on the hill, far away from the hustle and bustle of the island. The surroundings are lovely, we have never seen so many trees, shrubs and flowers in the hotel. At Mandarava Resort and Spa you can feel like you were in the middle of the jungle but surrounded by the luxury. We really can’t imagine better place to relax and forget the worries of everyday life. The hotel is situated on the hill, so you will have to climb up or down a little in order to get to the pools, lobby or restaurant. This is a perfect place for couples, solo travellers or anyone looking for a peace and relax. 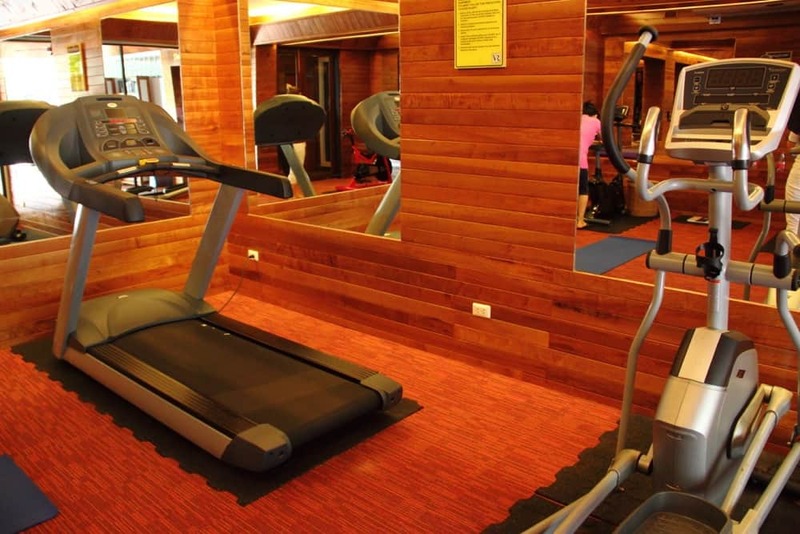 If you like to stay fit on your vacation, you can use a gym at Mandarava Resort and Spa. It’s very professional and suitable for everyone. 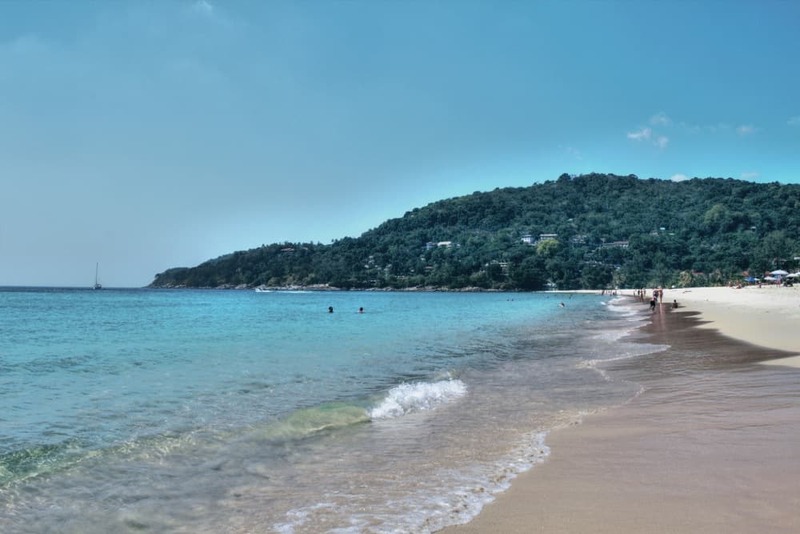 The nearest beach is Karon beach. It’s not far from the hotel but still you can use a free shuttle to get there. It goes every hour or two during a day. 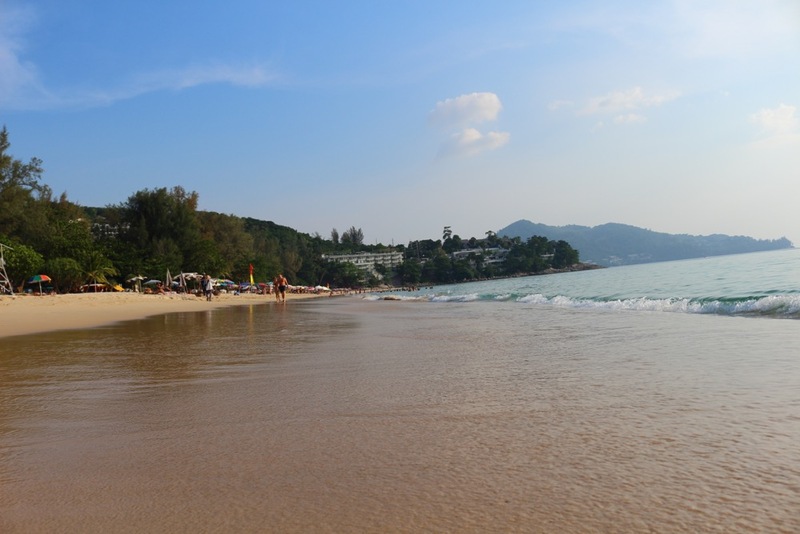 Karon beach is clean, the sea water is crystal clear and there are many great restaurants nearby. 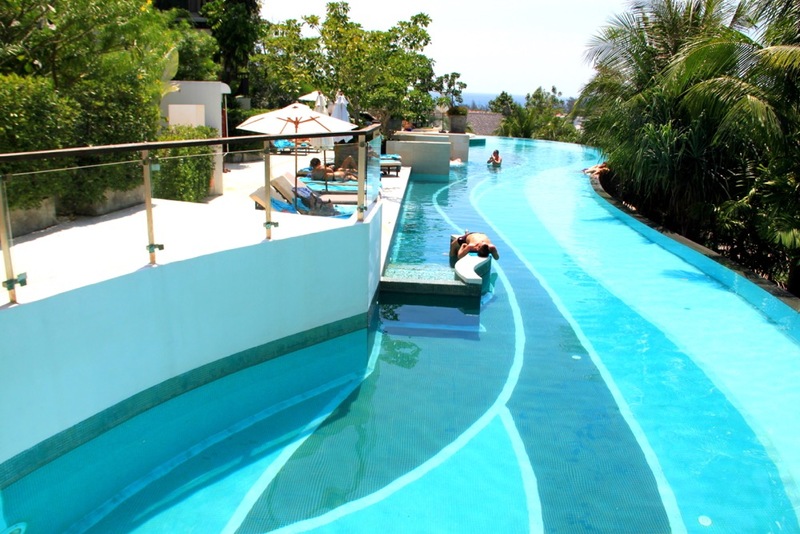 There are three amazing swimming pools in the hotel. Each of them is luxurious, clean and well-maintained. There are free sun beds and towels available for all hotel guests using pools. This is the biggest swimming pool at Mandarava Resort and Spa best hotel Phuket. It has 945m2 and it is divided into two cascading, infinity pools. This pool is amazing! It has a swim up pool bar with drinks and snacks. Basically, you can spend all day in the pool because of an access to food and beverages. This is the second largest pool at Mandarava Resort. It has 278m2 and a bar similar to the one at Mango Pool. 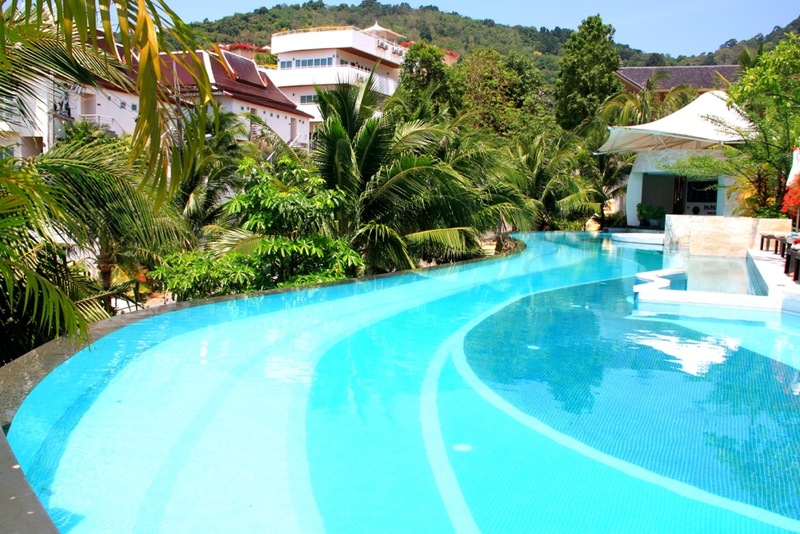 Last but not least- Pomelo Pool is probably the most peaceful pool in the resort. 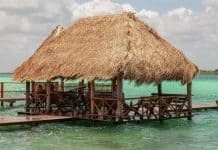 It has a sea view and a pool bar, just like all the others. All rooms in the Mandarava Resort and Spa have AC, fan, free WiFi, room safe, TV, minibar, cosmetics, hairdryer, tea and coffee-making facilities, bathrobes, telephone and wardrobe/ closet. Spacious room with high pointed ceiling, 2 bathrooms (one with the shower and one with the bath) and a terrace with two comfortable chairs. This room is very similar to the Horizon Deluxe. 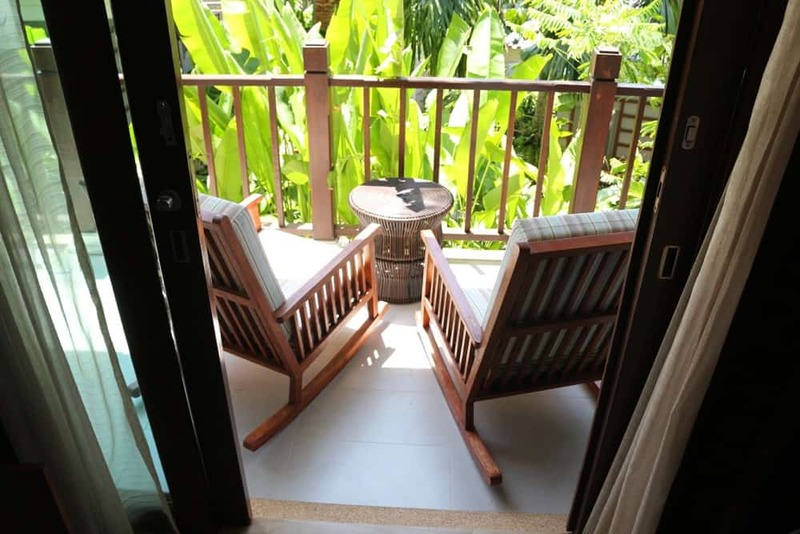 The difference is that it is situated on the top floor of two- storey villas. Some rooms even have a sew view! The biggest and the most luxurious from all the rooms. It has the jacuzzi soaking tub, a shower, a terrace with two comfortable chairs and a touch screen panels for lighting and temperature control. 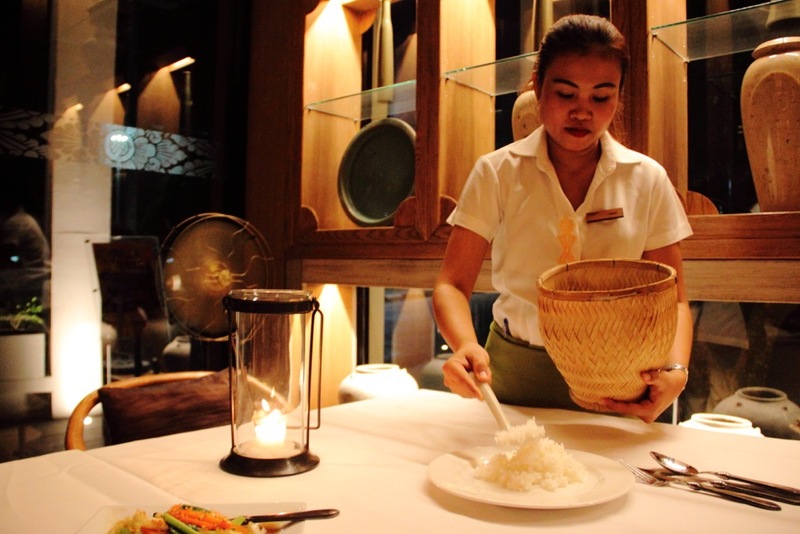 Chomtalay Restaurant serves traditional Thai food as well as international dishes. The restaurant is situated on the hill, so the views from the top are really amazing! In the morning, hotel guests can enjoy complimentary buffet breakfast. It was one of the best breakfasts we have eaten in Thailand! The variety of choice is impressive. Below you can find the video with the breakfast food at the Mandarava Resort and Spa. Check out the latest prices for Mandarava Resort and Spa—> click here. Disclosure: We want to thank Mom Tri Villa, Mandarava Resort & Spa and Manathai Surin Phuket for complimentary stays. All opinions presented in this post are honest and our own. Previous articleAre you already dead? Did you die but are still alive? Next articleBest hotel Beijing. Hotel Jen Upper East Beijing review. Phuket, Thailand by Carol of Karolina Patryk. 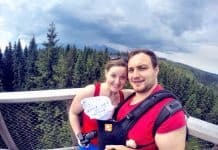 Thanks for featuring our post on your blog! Wow! This is a amazing sightseeing near the hotel and the sea view is very awesome. Good amenities and service. Yes everything about these hotels were amazing :). What a lovely place to stay at! I really like the healthy breakfast options and such a beautiful view and this gym… WOW! Impressive place! 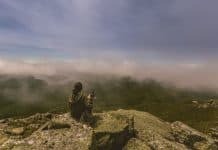 Yes, this places are AMAZING! We can’t wait to get back to these hotels :). Good to know the bet times to visit Phuket! It is nice to see what is best at what time of the year. 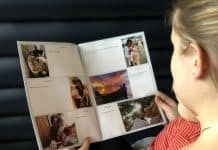 It allows you to be more decisive with trip planning.